We at Insider Monkey have gone over 700 13F filings that hedge funds and prominent investors are required to file by the SEC. The 13F filings show the funds’ and investors’ portfolio positions as of December 31st. In this article we look at what those investors think of Andeavor Logistics LP (NYSE:ANDX). Andeavor Logistics LP (NYSE:ANDX) shares haven’t seen a lot of action during the third quarter. Overall, hedge fund sentiment was unchanged. The stock was in 6 hedge funds’ portfolios at the end of the fourth quarter of 2018. At the end of this article we will also compare ANDX to other stocks including Athene Holding Ltd. (NYSE:ATH), MarketAxess Holdings Inc. (NASDAQ:MKTX), and Interpublic Group of Companies Inc (NYSE:IPG) to get a better sense of its popularity. We’re going to take a gander at the recent hedge fund action regarding Andeavor Logistics LP (NYSE:ANDX). 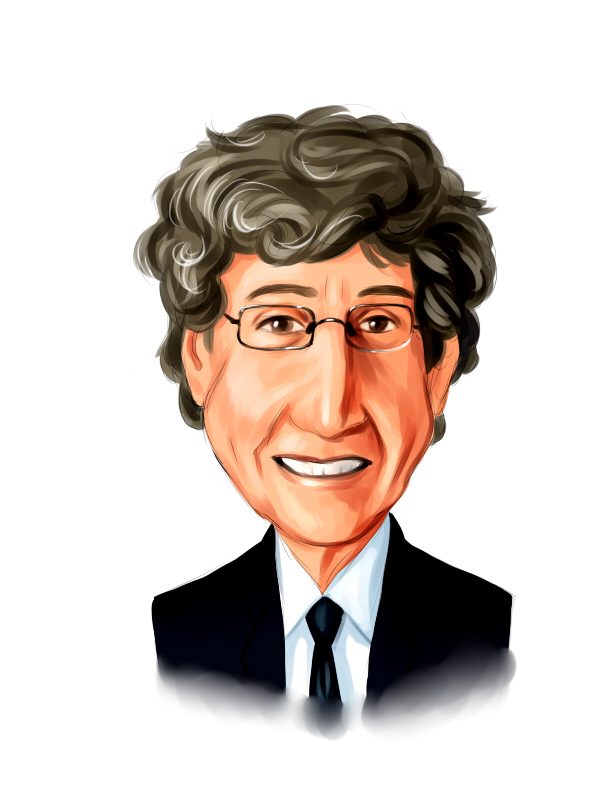 How are hedge funds trading Andeavor Logistics LP (NYSE:ANDX)? At the end of the fourth quarter, a total of 6 of the hedge funds tracked by Insider Monkey held long positions in this stock, a change of 0% from one quarter earlier. 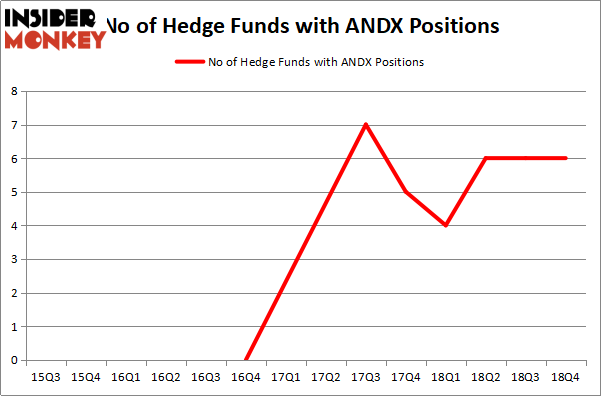 Below, you can check out the change in hedge fund sentiment towards ANDX over the last 14 quarters. So, let’s examine which hedge funds were among the top holders of the stock and which hedge funds were making big moves. The largest stake in Andeavor Logistics LP (NYSE:ANDX) was held by Highland Capital Management, which reported holding $2 million worth of stock at the end of September. It was followed by PEAK6 Capital Management with a $2 million position. Other investors bullish on the company included BP Capital, Driehaus Capital, and Citadel Investment Group. Since Andeavor Logistics LP (NYSE:ANDX) has witnessed bearish sentiment from the entirety of the hedge funds we track, it’s safe to say that there is a sect of money managers who were dropping their full holdings in the third quarter. Intriguingly, Paul Marshall and Ian Wace’s Marshall Wace LLP sold off the largest stake of the “upper crust” of funds followed by Insider Monkey, comprising close to $1.3 million in stock. Frederick DiSanto’s fund, Ancora Advisors, also dropped its stock, about $0.1 million worth. These transactions are intriguing to say the least, as total hedge fund interest stayed the same (this is a bearish signal in our experience). Let’s now take a look at hedge fund activity in other stocks – not necessarily in the same industry as Andeavor Logistics LP (NYSE:ANDX) but similarly valued. We will take a look at Athene Holding Ltd. (NYSE:ATH), MarketAxess Holdings Inc. (NASDAQ:MKTX), Interpublic Group of Companies Inc (NYSE:IPG), and China Eastern Airlines Corp. Ltd. (NYSE:CEA). This group of stocks’ market values are similar to ANDX’s market value. As you can see these stocks had an average of 22.75 hedge funds with bullish positions and the average amount invested in these stocks was $552 million. That figure was $8 million in ANDX’s case. Athene Holding Ltd. (NYSE:ATH) is the most popular stock in this table. On the other hand China Eastern Airlines Corp. Ltd. (NYSE:CEA) is the least popular one with only 2 bullish hedge fund positions. Andeavor Logistics LP (NYSE:ANDX) is not the least popular stock in this group but hedge fund interest is still below average. This is a slightly negative signal and we’d rather spend our time researching stocks that hedge funds are piling on. Our calculations showed that top 15 most popular stocks among hedge funds returned 21.3% through April 8th and outperformed the S&P 500 ETF (SPY) by more than 5 percentage points. Unfortunately ANDX wasn’t in this group. Hedge funds that bet on ANDX were disappointed as the stock returned 10.8% and underperformed the market. If you are interested in investing in large cap stocks, you should check out the top 15 hedge fund stocks as 12 of these outperformed the market.